Matt Carpenter says he'd be playing if this were the regular season. 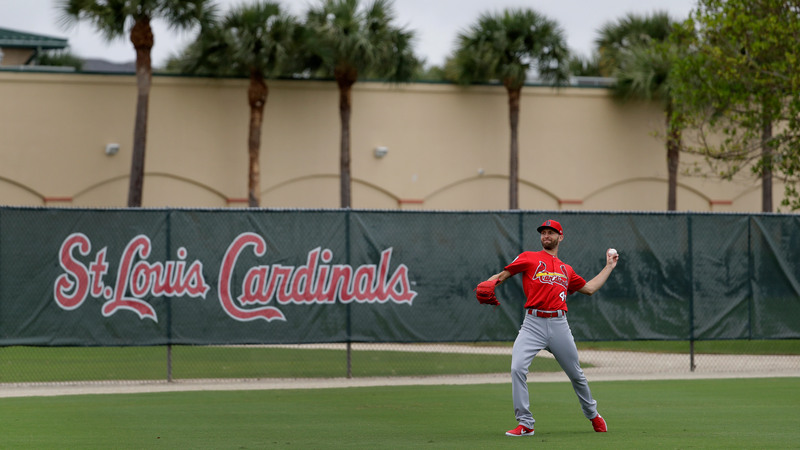 JUPITER, Fla. — Even as Matt Carpenter‘s return to Grapefruit League play is delayed, both the team and the third baseman insist the lingering back tightness is no big deal. “If this was the middle of the season and these games counted, I would be just working through some of the soreness and tightness that I’m going through, but I don’t feel the need to do that and go back to 70 percent because I’m pushing through a spring training game,” Carpenter said. Originally expected to return Wednesday, Carpenter now may not return until Sunday. Carpenter hasn’t appeared in a game since Friday. He originally experienced the back tightness Saturday during fielding drills. In recent days he underwent an MRI that Carpenter said showed his back is in better shape than last year, when it bothered him throughout spring leading to a slow start to the season. 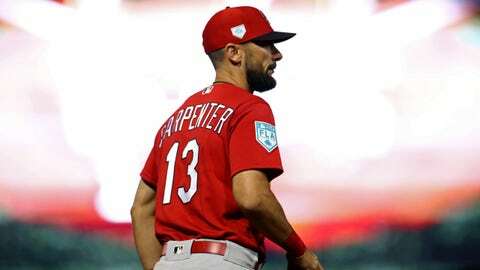 Carpenter expects to remain in Jupiter when the Cardinals break camp Sunday, skipping the team’s Monday exhibition game at Triple-A Memphis. He’ll rejoin St. Louis in Milwaukee the day prior to the March 28 season opener. Carpenter’s absence over the past week prevented Shildt from fielding his expected Opening Day lineup at any point this spring. For Shildt, only two batting order spots are set: Carpenter at leadoff and Marcell Ozuna at cleanup. Fowler smashed New York starter Domingo German’s first pitch over the right-field wall for his first spring homer. Fowler hit a two-run homer in the second inning.